I finally was able to get my hands on these babies after stalking Ulta religiously for the past month. Every time I tried to buy some every shade was completely sold out. I finally snagged these 4 shades. The full line comes in 22 shades in a wide range. • How to use: Apply directly on bare lips or over lip liner/primer for more pigmentation. Packaging: I absolutely love the packaging. I love that the tube reflects the color you get inside. It is also simple yet fun packaging with easy to read writing. The packaging alone makes me intrigued. Color Payoff: Of the 4 colors I have they are all very pigmented. Each color gives you exactly what you see before applying. They are all rich in color making them look more luxurious and expensive than they actually are. Staying Power: Reapplying lipstick is kind of one of those things that I just forget to do during the day so a lipstick that stays on a long time is always a plus to me. This does stay on a pretty good amount of time, but if you eat or drink chances are you will need to reapply or you will be left with just a ring around your lips and nothing in the middle. Price: $5.99 each at Ulta. I think they are worth the price because of the pigmentation and color selection. 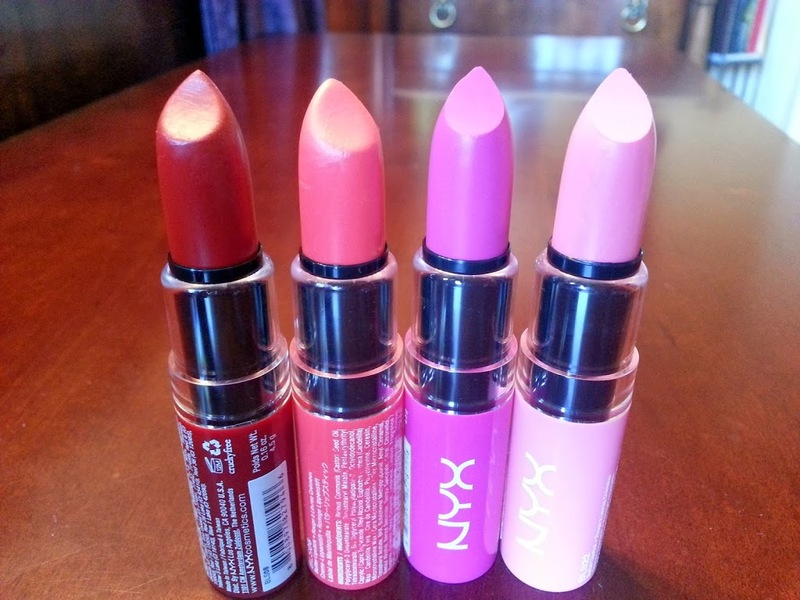 Overall Impression: I love these lipsticks! I think they are absolutely worth checking out. They have a huge color selection with something for everyone, ranging from nudes to brights, to darks, to pinks. 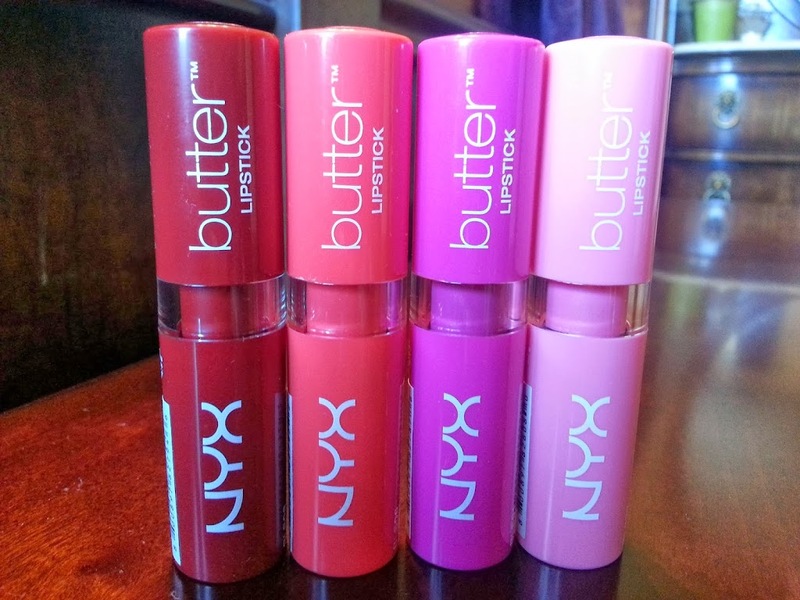 Do you have any of the NYX Butter Lipsticks? What is your favorite color? 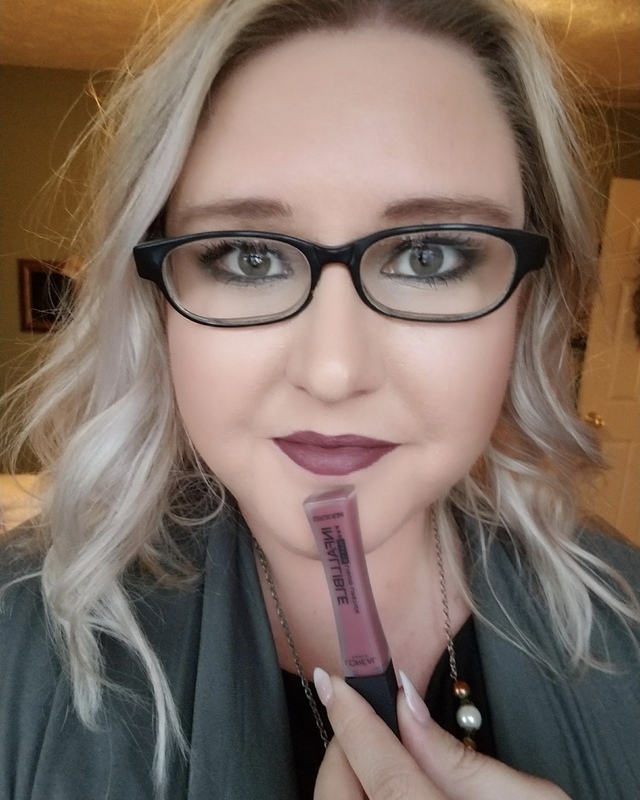 I have on of these lipsticks — I can’t remember the color, the words are worn of (it’s that old!) but I absolutely love it! I think it might be the color Pops. 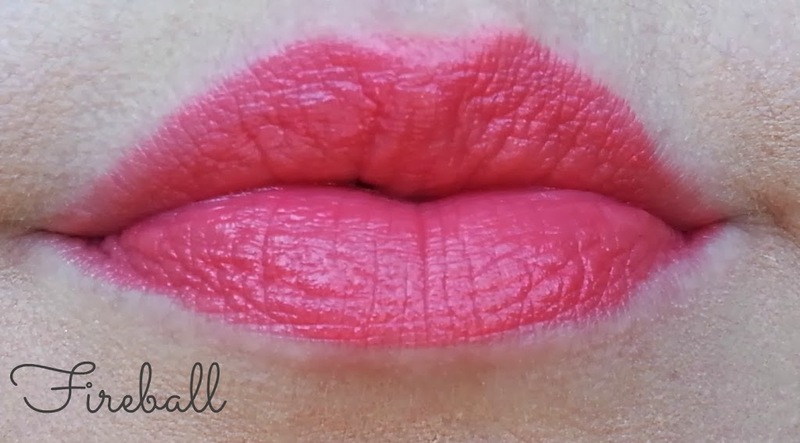 It feels so smooth on the lips, and has impressive pigmentation for being a ‘butter’ lipstick. I love them more than the Revlon lip butters, and these are cheaper!